We booked this Rovos Rail Golf Safari: South Africa Package for 2 retired couples from Florida who were traveling together. They wanted a very high-end South Africa golf tour with everything included. This trip was the perfect fit; the golfers played all the best courses in South Africa, while the non-golfers had a fabulous mix of guided touring and South African safari. Their Rovos Rail Golf Safari: South Africa Package began in Pretoria and traveled to the resort town of Sun City. The golfers played an excellent local course and the non-golfers went on their first game drive in Pilanesberg National Park. Next, they traveled to the beautiful KwaZulu-Natal region, where the Drakensberg Mountains form a dramatic, picturesque landscape. Here, the non-golfers toured the KwaZulu-Natal Battlefields, home to some of South Africa’s most fascinating historical conflicts. Then their Rovos Rail Golf Safari: South Africa Package continued on to the beautiful beach town of Durban. The golfers teed off at the Durban Country Club, which beautifully highlights the Cape Dutch architecture and seaside setting, while the non-golfers enjoyed a guided city tour. 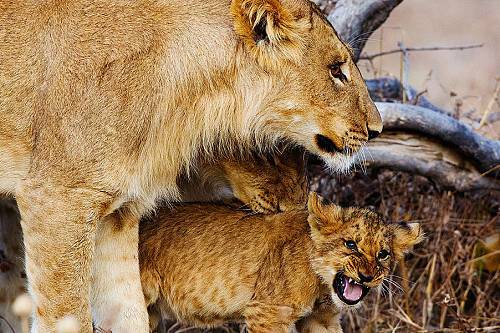 The next day, the entire group experienced an exciting Big 5 game drive in Hluhluwe Game Reserve, getting a firsthand view of lions, leopards, elephants, and more. Their journey continued on to Swaziland, where the golfers played the absolutely stunning Royal Swazi Sun golf course and the non-golfers enjoyed another thrilling safari in Mkhaya Game Reserve. The Rovos Rail Golf Safari: South Africa Package saved the best for last. They traveled to the border of the world-famous Kruger National Park, one of the best wildlife viewing destinations in the whole of Africa. The golfers played the gorgeous Leopard Creek Golf Course, where giraffes are known to stroll across the fairways. The non-golfers had one last thrilling game drive in Kruger National Park. At last, their incredible luxury journey came to an end. The train arrived at Rovos Rail Station in Pretoria, and they began the trip back home. Your luxury vacation on board the Rovos Rail luxury train departs from the historical city of Pretoria (sometimes called “Jacaranda City” for the purple blossoms that color the streets each summer). Spend the day at leisure aboard the train as it heads to Rustenburg (about an hour outside of Sun City and Pilanesberg safari park) for an overnight stop. Enjoy the first of your golf safari activities today! Golfers: Tee off at Lost City or Gary Player Country Club this morning. Gary Player Golf Course is the flagship course of Sun City Resort. Built in an extinct volcanic crater, the course offers 8,000 yards of golfing pleasure await all golfers with mesmerizing views at every turn. Lost City Golf Course provides a very different golfing experience and defies being assigned to any one category, with touches of mountain, desert, and African parkland in its make-up. The course presents a great test as the approaches to the greens—clad in bent grass and protected by bunkers—demand careful judgment. Non-Golfers: Enjoy a morning game drive in Pilanesberg National Park. You’ll have a chance to see elephants, lions, giraffes, zebras, and much more. After your first safari, explore Lost City and join the golfers in your party for a delicious lunch at the club. Enjoy all your meals onboard today as you journey south from Sun City to Estcourt in the KwaZulu-Natal region near the Drakensberg Mountains. Non-Golfers: This morning, enjoy a fascinating tour of the KwaZulu-Natal Battlefields. When viewing this tranquil countryside, it’s hard to visualize the sweeping landscape as the scene of some of the bloodiest military engagements in South African history. During an informative battlefields tour, view the sites where local Zulu, Boer, and British forces clashed in gory battles that both shaped the progress of South Africa and shook the platform of the British Empire. This evening, your train departs for the beach town of Durban. Embark on a morning safari in Hluhluwe Game Reserve, where you’ll have a chance to see Africa’s Big 5—lions, leopards, elephants, rhinos, and Cape buffalo—along with other amazing wildlife of the region. See the animals at their most active in the early morning, before the heat of the day leads them to rest until sundown. Enjoy brunch onboard the train as you depart for Mpaka, Swaziland. Golfers: Tee off at Royal Swazi Sun this morning. This spectacular championship course is one of the most scenic locations found in the world. Opened in 1966, it has been laid out on the slopes of the Lebombo Range that curves gently down into the valley. The first nine holes are comparatively level, but the second nine fully exploit the mountainous terrain. Challenging features include lakes, gullies thick with vegetation, out-of-bound areas running close to fairways, swirling breezes, clusters of magnificent trees and indigenous plants, and wickedly sited bunkers. 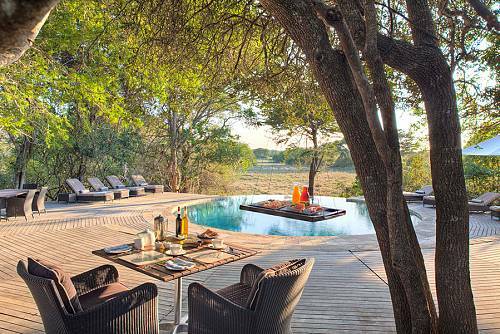 Non-Golfers: Enjoy a safari game drive in Mkhaya Game Reserve. In this beautiful nature reserve, you’ll have the chance to see rare black and white rhino, elephants, giraffes, buffalo, hippos, and crocodiles, as well as fantastic birdlife. In the afternoon, visit the famous Ngwenya Glass Factory and perhaps take home a souvenir from this famous workshop where local craftsmen practice the delicate art of glassblowing. The train departs for Malelane this evening. Golfers: Enjoy your final round of golf today at the famed Leopard Creek Golf Course. We’ve certainly saved the best for last! Nestled like a hidden gem in the heart of Mpumalanga and the southern border of Kruger National Park, Leopard Creek is a 360-hectare golfer’s paradise. Flanked to the north and west by the famous Crocodile River, Leopard Creek features postcard-worthy views and a magnificent course ready to be conquered. Non-Golfers: Set off on your final game drive today as you explore the famed Kruger National Park. At this point, the Big 5 of Africa should already be checked off your list. 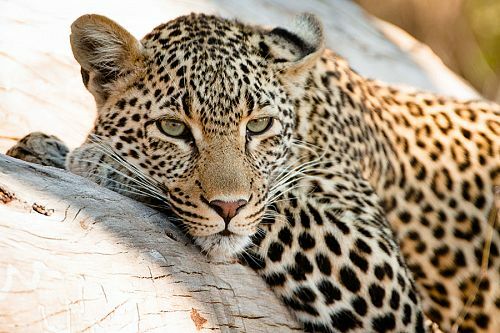 In Kruger, you’ll have the opportunity for more Big 5 sightings, or your expert safari guide can show you some of the hidden gems of this world-renowned safari park. 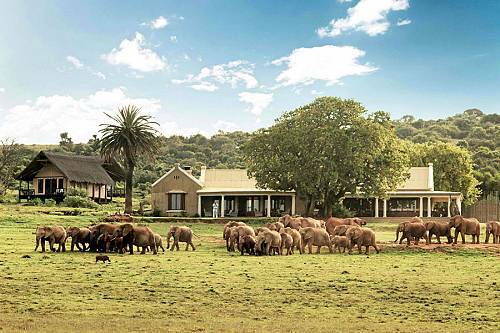 After your safari, enjoy a scrumptious lunch at the Buhala Lodge. This evening, enjoy dinner onboard as the train travels to Witbank for an overnight stop. Your incredible adventure comes to an end today. Enjoy breakfast onboard en route to Pretoria, where you will reach the Rovos Rail Station around 10 am.